Let’s for a moment put aside the discussion as to whether an investment by a law firm into premium real estate makes sense. Let’s assume that clients don’t object to funding acres of marble and an atrium full of lush vegetation. 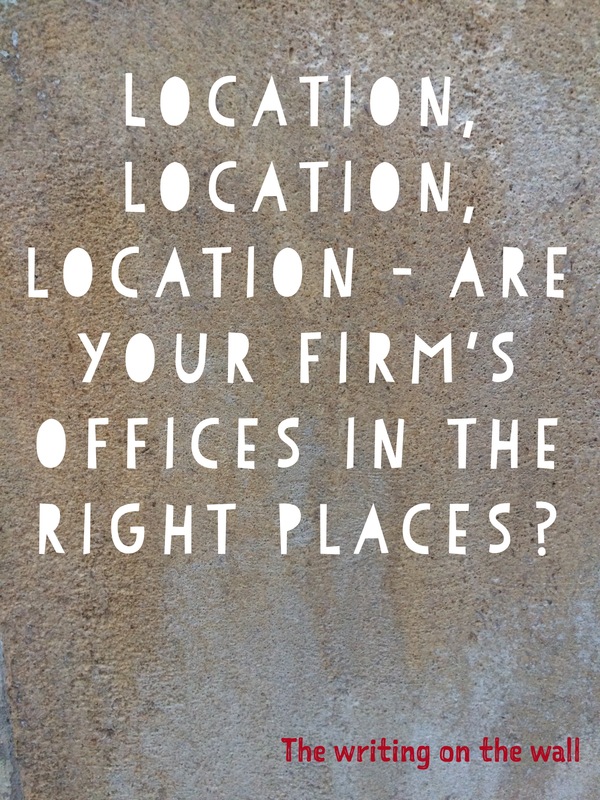 This question is about where your firm’s offices are, not what they are. The location question is very personal. For some firms it might be simply be about growth – we are outgrowing our current premises – do we just need a bigger office, or should we open a second office (and if so, where). For other firms it might be about national expansion, or response to an existing or future competitive threat. However for many firms the stakes are higher, and it’s about international expansion. It may be an understatement, but international strategy is not easy. Aside from the economics, the cultural, regulatory and language differences, suddenly the complexity and management overhead increases dramatically. Whether the market entry strategy is through acquisition, merger or lateral hire, you can then throw a whole host of political and personal factors into the mix. With that in mind, opening a new office seems like a decision to be made thoughtfully, but in a fast moving market that is changing more than ever, how can you make the time you need to really assess where the right locations are for you? Firms are getting bigger. Mergers and International expansion may be the main culprits in recent years, bit add the economy slowly returns to growth, plenty of other law firms face the challenges associated with getting bigger. Some, like the competition for talent are frequently mentioned, but there is another that is less talked about and yet arguably harder nut to crack. It’s the management overhead. 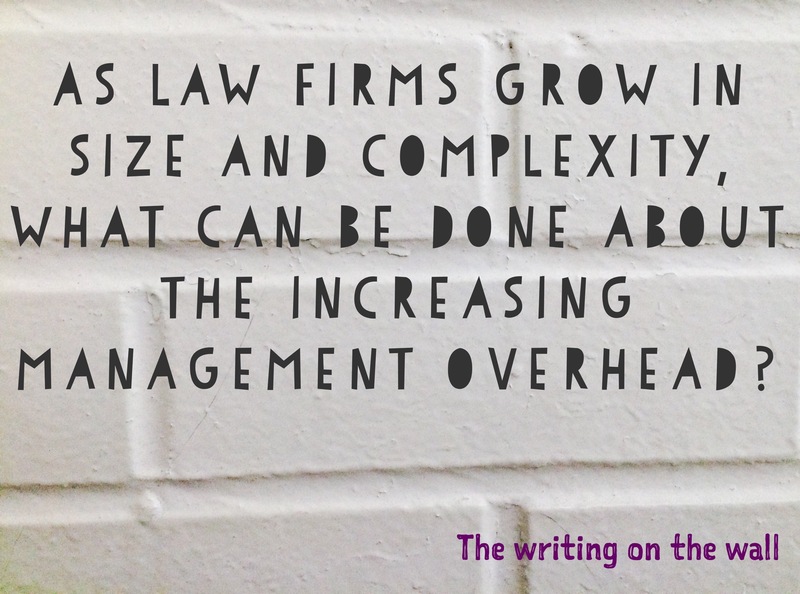 Aside from the difficulty and effectiveness of management, how can firms manage the spiralling cost and resource drain? Whether it’s professional management cost or the time of the most competent partners, it’s easy for it to grow unchecked. What’s the story in your firm? Prompted by thinking about how social media can merge personal and business worlds, and the pros and cons of keeping them separate, I started thinking about blogging more seriously. Stimulated further by my failure to get a website up and running quickly enough, and then finally spurred into action by some reflection on the need to execute rather than plan, I have taken the plunge. To some degree, the blog is also an adventure, a journey into the unknown, which is another theme I’ve been reflecting on lots at the moment; particularly after reading Bob Johansen’s excellent book “Leaders Make the Future”, where he talks about the VUCA world; volatility, uncertainty, complexity and ambiguity. One of my key learnings over the last 18 months or so, has been to be more comfortable with uncertainty, and to move away from my inherent comfort zone of structure and planning. Anyone interested in this should also read Transitions by William Bridges; a classic on how people respond to change. So, what to expect; well, Intelligent Challenge is a business aimed at helping lawyers and law firms be more effective, but I also expect this to evolve as I grow and new projects emerge. One such project I’m thinking about is a book; the concept is 80% formed, so watch this space. I expect the blog to be much wider than just my business, but to stop short of my personal rants and the like, all of which will stay safely in the walled garden of facebook. Finally, I’m a big believer in networks and communities, so if you are reading this, please do comment. I’m feedback agile too, and love to learn, so constructive criticism also welcome. Enjoy.